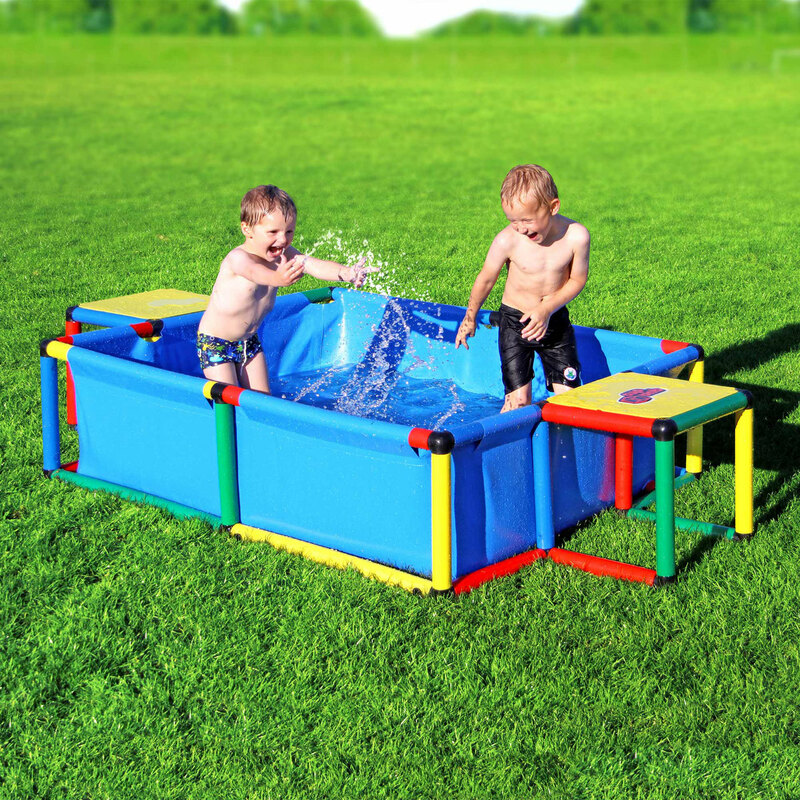 POOL L is very sturdy. Combined with QUADRO’s proven construction system, it is also versatile. 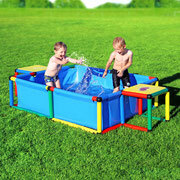 The pool can be filled with water, sand or balls. 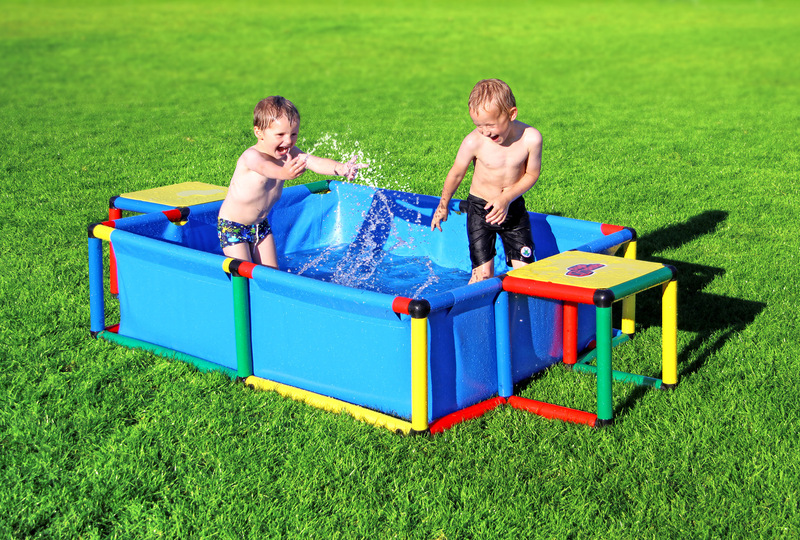 Add the BALLCAGE (11040) and turn it into a children’s pool house! 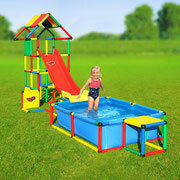 Or turn your backyard into a water park with a QUADRO slide and fitting kit.